If you told me a half year ago that I could lose 8 kilos, I would have probably laughed in your face and picked up an extra slice of pizza. I would never thought that I’d succeed with losing a few kilos. I’ve always thought that I couldn’t do it because of my build, and partly, since I was aware that I’m simply addicted to eating a lot of unhealthy food. But somehow it still worked out. How? I’ll tell you here! I want to start off saying that I’ve never considered myself fat. I have always been happy with the body that I had. I simply wasn’t happy with the way that I was living. You don’t see what’s going on inside the body from the outside, and at that moment, I wasn’t happy. Not because I found myself fat, but because I had absolutely no energy or interest in doing anything anymore. I’ve always worked out a lot, so I did develop a relatively sporty body. I’ve always been super proud of it and it’s what also motivated me to begin a healthy lifestyle. I wanted the muscles that I worked so hard for and was so proud of, to be more visible and that i’d become happier. I wanted the energy to try out new things. To make my muscles more visible, I wanted to lose some weight. I chose to become healthier so that I could become happier. And now I feel so good in my skin and I am unbelievably proud of what I achieved and how I look now. I hope that every woman can also feel that way, regardless of weight, muscle or fat percentage. I had absolutely no idea. I had just left my parent’s house and I still hadn’t taken stock of all the healthy meals that I was eating at home. I worked out a lot; you would find me at the gym everyday for 2 hours, so I wanted a diet that would fit with that. Everyone with an internet connection probably have heard a thousand times how important proteins are and how bad carbs are. So that’s where my fit journey began: a high protein, low carb diet. I think that I didn’t eat any pasta, rice, bread or any other type of grain for about 2 or 3 months. Carbs were my absolute worse enemy. I lost weight rapidly, but I didn’t enjoy eating anymore. All my meals were ‘skinny’, so definitely not enough and I really only ate because I “had” to. Now, I don’t want to say that every protein rich diet is skimpy and that grains are necessary to make your meals delicious, I absolutely know that you can make really nice low-carb meals! But for me, I just found it difficult. I had minimal experience with cooking and I was honestly too lazy to try out some new, varied meals every single day. In any case, my diet was plain boring. You can imagine, that by December, I couldn’t resist all the deliciousness I had left behind. Right after the holidays, I went straight on vacation for a week, so my holiday month full of cheat meals got extended even more. I returned home with the same weight that I was at the beginning of my fit journey. And just like that, it was January and everyone was hyped about their New Year resolutions. For the first time ever, I decided to join along with the new year, new me phase and I made it my plan to lose weight this year and also maintain it. 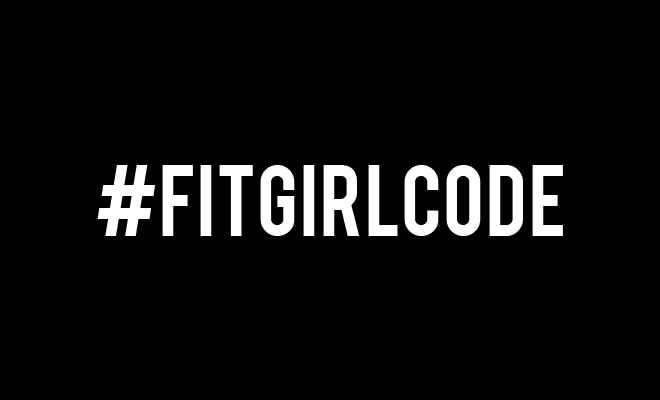 This time, I really planned it out, Even though I hadn’t begun writing for Fitgirlcode as yet, I had heard about it a lot. And when there was a sale on all the guides to help everyone reach their resolutions, I chose right then and there to get the Happy Healthy Guide. The reason why I chose the Happy Healthy Guide was because I was only interested in improving my eating. I was still doing well when it came to working out; I woke up (almost) every morning at 7am to go to the gym and crawled out of there around 9am (literally, after leg day). But my eating was still going wrong. I was simply eating too much delicious (read: unhealthy) food. I still had it in my head that losing weight was about restriction and that’s something I really wanted to change! HOW DID IT GO WITH THE HAPPY HEALTHY GUIDE? The Happy Healthy Guide was very good to stick to. Most of all because the meals were easy to prepare, I didn’t find myself missing my beloved Takeout-apps or menus. I even started to enjoy cooking, and began to look around to see if there were new things I’d like to try. I must admit I was still happy whenever the guide instructed to make portions for dinner and for lunch the next day. That way I saved some work and time, something that worked well for me, as a busy student. If I look back to my fit journey, I’m most shocked by how my cravings changed. Since I began with the Happy Healthy Guide, I started craving entirely different flavours. While I was able to get full and satisfied from eating Dutch pink cookies and Punsch-rolls, I now have 0 interest in them. A half year ago, I dreamed of pizza or fries for dinners, and now I find myself wanting to go for meals with as much vegetables as possible. It sounds a bit strange, I know, but it’s the truth. A pizza is still good every now and then, but doing the Happy Healthy Guide taught me how to make my favourite comfort foods healthier. I regularly add my favourite toppings on top of wraps and throw it in to the oven. Delicious! The Happy Healthy Guide is made for 12 weeks. Because I still wanted to lose a bit more week after the first 6 weeks and since I enjoyed it so much, I chose to put off the maintenance part of the guide for now. I also chose not to repeat the first 6 weeks completely, since I sometimes found it a bit of a hastle to keep the schedule if I went away to my parents’ or my boyfriend’s for the weekend. Instead of strictly following it, I mixed and matched meals out of the guides. All the macros are there for each meal, so it’s super easy to make your own day or week-schedule. I used the recipes from the guide and made my own personal meal-plan and that’s how I continued on my weight loss journey. It has now been a half year since I first began with the Happy Healthy Guide, and I’ve lost 8 kilos. That’s more than I ever could have imagined happening. When I began, I naturally had a target weight, but I never expected that I would actually achieve it. I began my fit journey a bit with the motto: “Reach for the moon and maybe you’ll land on a star”. I didn’t expect to reach my target weight, but I would have already been happy with making some progress towards it. If I had only lost 4 kilos, then that’s 4 kilos off! The only thing I would need to lose were the fat rolls. I do have to add that losing weight really isn’t everything that matters. In the beginning, I would get very proud if the weight scale showed me a lighter number, but overtime, that number became less important for me. I’m not happier than old Roos because I weigh less. I’m now happier because I have less issues with my body and have more energy, I’m a bit more proud of the person I see looking back at me in the mirror and I’ve found a new hobby: cooking! GET THE HAPPY HEALTHY GUIDE! The Happy Healthy Guide really helped to give me the tools necessary for a healthy diet. After I finished the plan, I was still using the guides in a way to make my own personal plan. That way my fit journey was easy to maintain, and also get results from! Are you also curious about the Happy Healthy Guide? We’ve just published an English version of this guide and you can now score it at our webshop! Ready to get all the tools you need?